Video content is taking over the digital landscape, and it’s not just cat videos or TV clips that are gaining popularity. 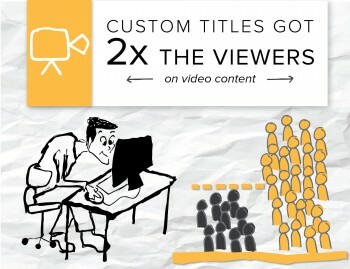 There’s growing demand for video content from companies, regardless of their audience focus. B2Cs and B2Bs alike face pressure to create interesting videos for their target audiences online – emphasis on interesting. It seems they’re mostly rising to the challenge. The Content Marketing Institute’s 2015 Trends report listed video as a top content marketing tactic for both verticals, but that doesn’t always mean they’re bringing their creative A-games. Case in point: A client in the technology field that was publishing daily video news digests with a templated title. When the company published another episode, it would use the same generic series headline with that day’s date. However, it was still missing something – the added layer of intrigue that comes from an eye-catching headline. That’s right. In this particular case, we saw that the daily video blogs got twice as many viewers after we began providing original titles for every video in place of the serialized headline. Readers respond to specific information. They may not click a video – and commit to spending a couple of minutes on it – if they’re not sure what they’re going to get out of it. When the client changed its approach and used the headlines as an opportunity to make it clear what information each update contained, viewers answered back with more clicks and views. 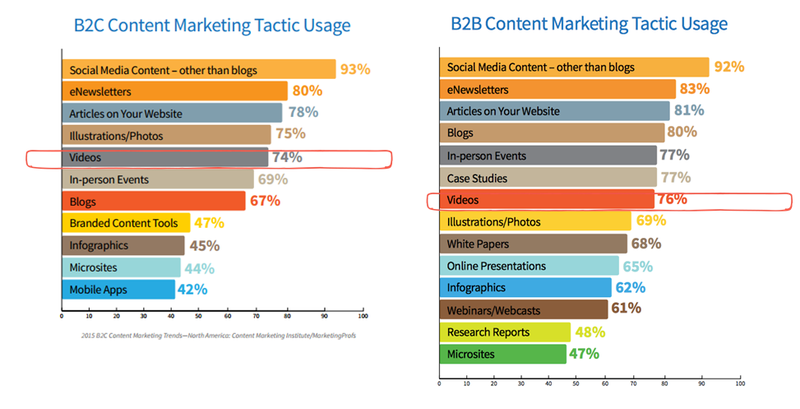 This is a consistent finding across companies that add video to their content marketing strategies. Here’s an example of a healthcare IT firm that increased dwell time six-fold with online videos tailored to its target audience. Videos can be extremely effective marketing tools, but the format itself can’t overcome a lackluster headline or misguided topic. Marketers need to create every video so that it takes advantage of opportunities to attract and influence the intended viewers.